High quality human AFB controls are very difficult to find but we have them! They are cut to order with negative control tissues put on the same slide. These control tissues have a very high colonies of Mycobacterium sp. 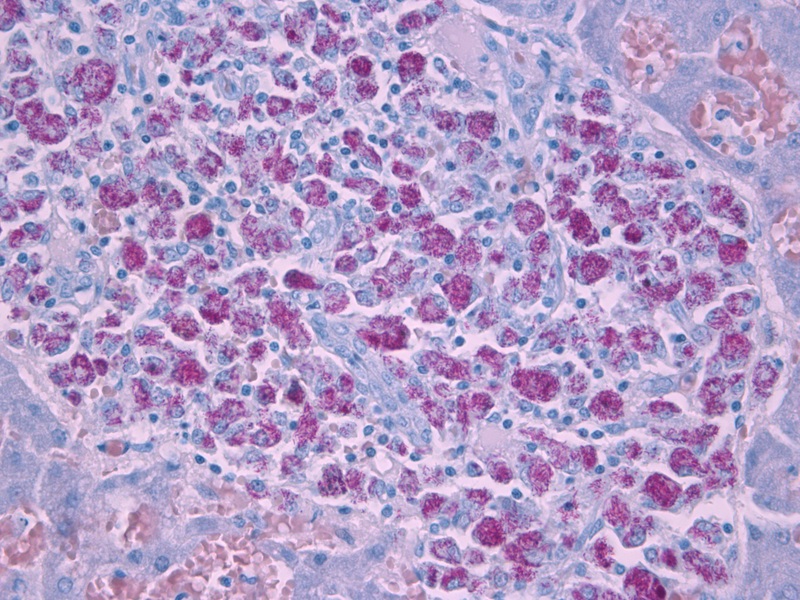 Tuberculosis in kidney sections. We can provide stain protocols and necessary solutions if desired. All controls are at the lowest prices available. Call or email us today before they are gone!